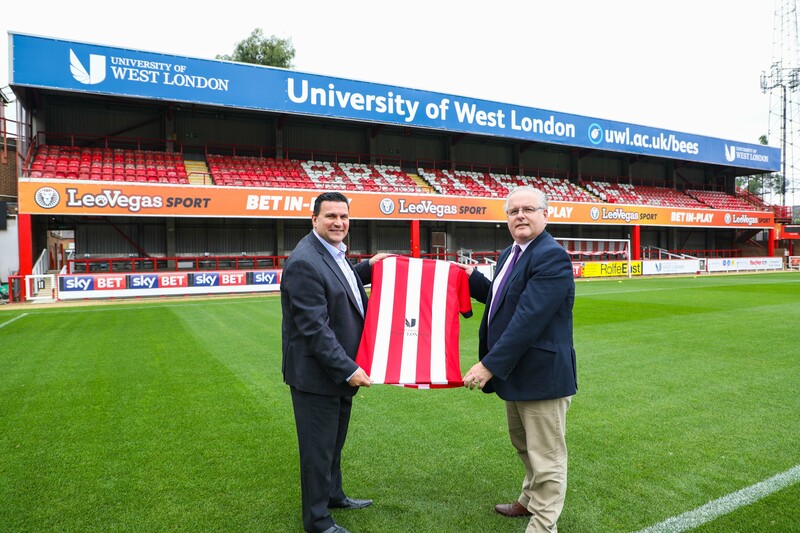 The University of West London (UWL) and Brentford Football Club are delighted to strengthen their close relationship with the announcement of a new long-term partnership which has at its heart the communities that both parties are proud to represent. As a platinum partner of the club, UWL’s logo will from this season take pride of place on the top tier of the Brook Road Stand at Griffin Park, in a visible sign of the university’s commitment to supporting the local community as a provider of first-rate higher education courses. The university’s brand will also feature on the rear of players’ shirts and shorts across the First Team and B Team playing kits. In addition, UWL will also be one of the first to enjoy Brentford’s state-of-the-art LED perimeter advertising system, to be installed in the coming months. This new three-year partnership comes at a fantastic time for both Brentford FC and the university. UWL is recognised as London’s top modern university in the latest Guardian University Guide and has also recently achieved the biggest increases of any UK institution in three league tables for the Higher Education sector. Meanwhile, The Bees have just kicked off their fourth season in the Sky Bet Championship – their longest stay in the second tier for more than 60 years – and are looking to build on three consecutive top ten finishes. 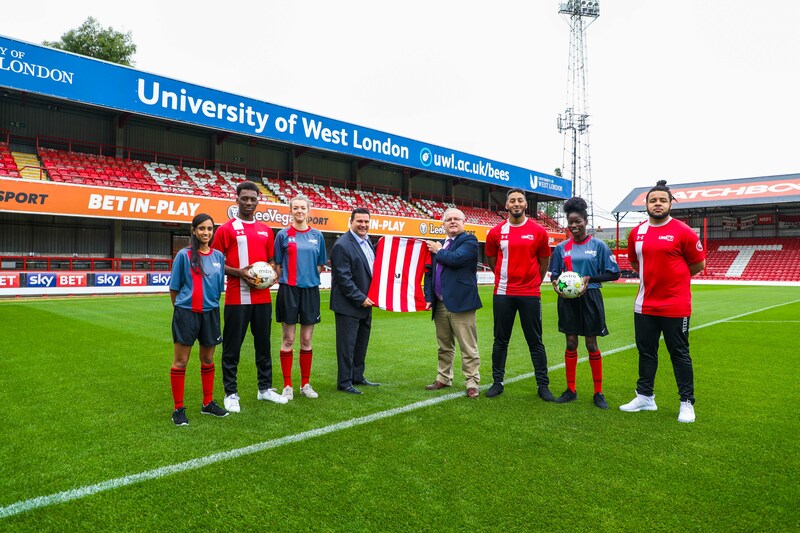 Fundamental to the new community-focused collaboration which UWL and Brentford FC have agreed is delivering educational programmes that help forge bonds between the Club and students, associated businesses and local organisations in Ealing and Hounslow boroughs. Valuable work placements for undergraduates and opportunities to take part in matchdays at Griffin Park are just two possible joint projects. Professor Anthony Woodman, UWL Deputy Vice-Chancellor, said: ‘We are delighted to strengthen our long-standing relationship with Brentford FC at this exciting time for the club on the pitch and UWL as London’s top modern university.